For most of us, the packaging is something that we throw away after we have used the product. However, from the marketing point of view, the packaging is a wealth of opportunities that can be smartly used to make us buy the product in the first place. Packaging is the first tool in building brand recognition. A unique, recognizable design makes brand products easily identifiable among others. For example, you will easily see Barilla products on a shelf with two dozen other pasta, you only need to look for navy-blue packaging with a distinct red logo. Packaging is the ideal space to place product and brand information, inform customers about special promotions, campaigns, new products. Brands producing groceries often use packaging to publish recipes based on their products urging the customer to think of buying not only one product but also other recipe ingredients – by the same brand, of course. The only problem is that for all this variety of marketing opportunities, product packaging is just too small. No matter how you decrease the font size, there is still a limit to what you can put on your product packaging. Luckily, we now live in the 21st century when technology serves the purposes of any industry, marketing included. Augmented reality gives your packaging a completely new dimension that is virtually limitless. With augmented reality for packaging, you can enhance your marketing campaign with all sorts of digital content, from text and graphics to videos, animations and interactive games. When the brand opts to invest in the development of an augmented reality app to go with its product packaging, it gets quite an impressive number of benefits. 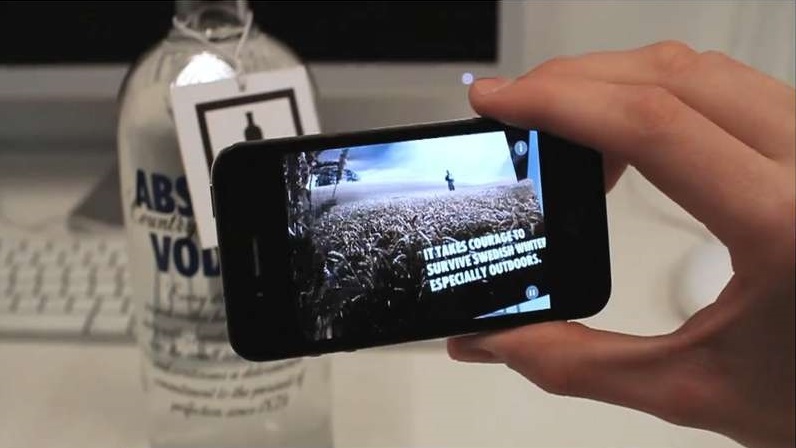 Implementing augmented reality for packaging grabs your customers’ attention immediately. When scanning a QR code reveals a wealth of additional information presented in the form of rich graphics or animation with smart sound effects, such technique makes your brand stand out and increases the customers’ interest towards the products. Moreover, studies showed that the stunning 84% of the customers believe that it is vital that the company implements innovations. They are more willing to buy from an innovative company and are even prepared to pay more. Using augmented reality for packaging definitely places the brand in the category of innovative, thus increasing the customer attraction rate. Besides, once you have released your first AR packaging, your customers will look forward to new experiences that your brand may have for them. Seeing a QR code on the packaging, they will be eager to find out “what’s inside”. Your product packaging can open the door to exciting experiences if, for example, you hide an AR-based mini-game behind a QR code. In addition to entertaining customers and creating that “wow” effect, the game can be designed to encourage more sales. For example, product packaging can contain codes unlocking unique game items or currency helping to progress along the game faster. When the product is, among others, targeted at children, the engagement rates will truly soar once you implement augmented reality for packaging. Kids love playing games and will be amazed by virtual objects appearing in thin air out of a simple cardboard packaging. 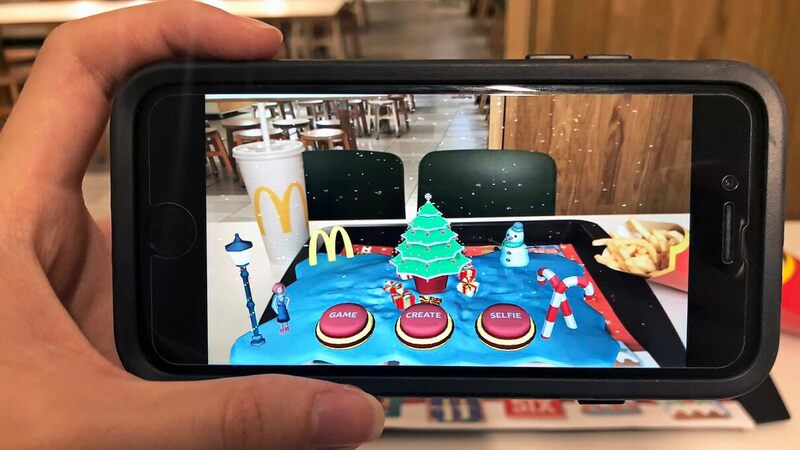 This strategy of using AR to promote their products was used by McDonald’s during the FIFA World Cup. Their French Fries package turned into a mini football field where customers could practice scoring goals right during their meal. One of the great things about augmented reality for packaging is the easiness of update. For example, you can launch a special campaign connected to an event or promotion and enhance it with AR content developed specifically for that purpose. Here the opportunities are literally infinite – from brand-specific events, such as anniversaries or new product launches to national or global campaigns, such as sports championships, holidays, charity initiatives. 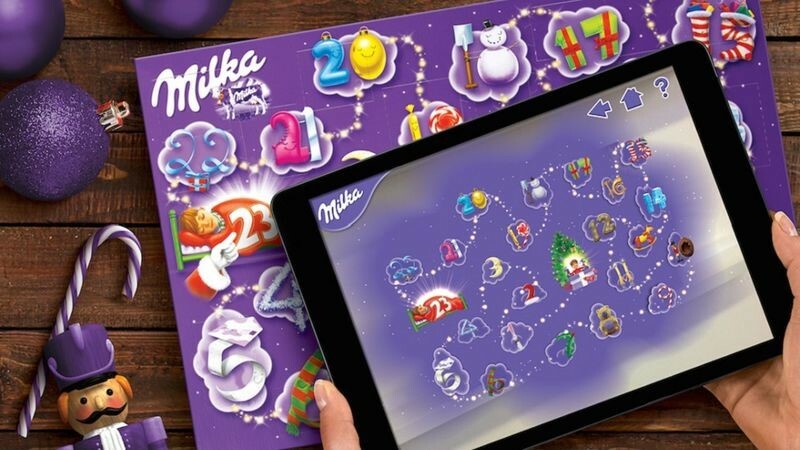 Milka, a Swiss chocolate brand, once released an AR Advent calendar to count the days before Christmas. The app worked with the special packaging of Milka chocolates. In such cases, you will only need to print a special QR code on your usual packaging and, of course, build an AR software product for that purpose. Otherwise, you can follow the Milka example and design special packaging. However, the costs are going to be somewhat higher. 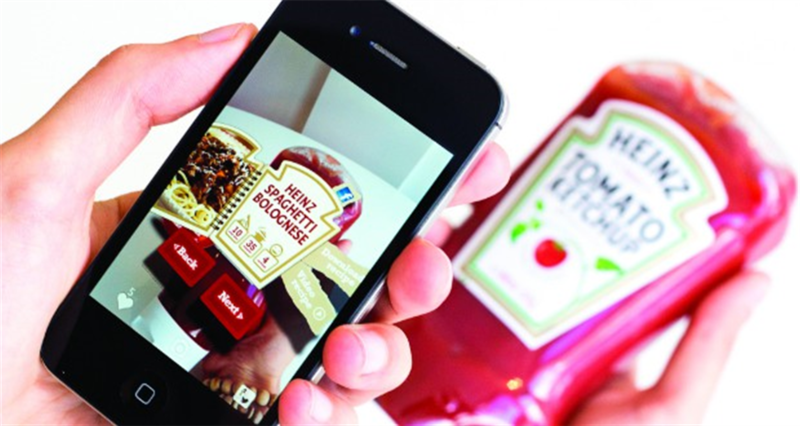 As we said already, augmented reality for packaging effectively resolves the problem of limited space. AR content triggered by a small QR code can be as large and as diverse as the brand finds optimal. If you engage a professional AR app development company, your AR content will appear as rich 3D graphics, animation, interactive flows, video, and sound effects. For customers, your product will be associated with an innovative approach to marketing and regarded as a source of interesting facts and exciting experiences. Viral marketing is based on our natural desire to share an outstanding experience with others. Augmented reality for packaging is capable of creating an experience that is bound to trigger such desire. In its turn, viral marketing can drive sales by attracting more customers. If your friend tells you that their favorite pasta brand now shows a spaghetti Bolognese recipe when you look at it through your smartphone camera, you may also want to see it. The importance of viral marketing is supported by rather extensive statistical data. Viral, or word-of-mouth marketing can bring about twice as many sales as paid ads with the retention rate 37% higher. The unusual experiences that augmented reality creates can become viral rather quickly generating more sales for your brand. Today, millennials are considered the most economically active generation, thus focusing on that user audience often proves exceptionally effective. In this respect, implementing hi-tech marketing will be a smart move, as this is what attracts millennials and fits their mindset. The analysis of millennials behavior clearly shows that they are the prime audience for AR advertising. According to the statistics, 85% of millennials own smartphones and about the same share do not trust regular ads. AR packaging, with the unusual approach to advertising, can be a perfect technique to attract and retain customers belonging to this generation. Besides, considering the millennials’ presence and activity in social networks, they become an effective “medium” for the promotion of your brand via their contacts. Implementation of augmented reality for packaging is not expensive. First, you do not need to do a massive redesign of your packaging. You only need to add a QR code that triggers the AR content. Second, you do not need to add any special media – your packaging is already there. You are using it to pack your product anyway, so why not use it to create an AR experience? Therefore, your most significant cost is the cost of augmented reality development. Indeed, the cost of augmented reality application development may seem a considerable investment. However, in view of all the advantages AR packaging is going to bring, it is well worth it. With augmented reality, you can recreate any content you wish delivering your most targeted messages to your customers. 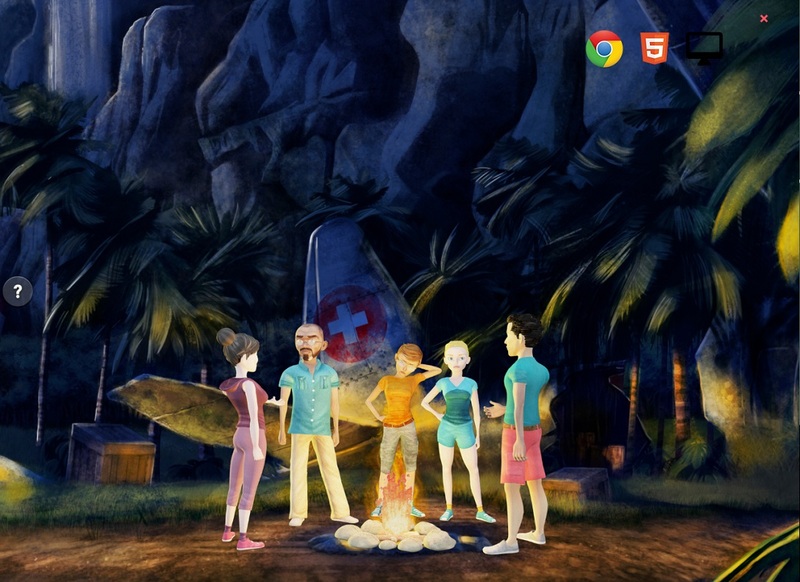 AR helps to achieve this goal in a highly entertaining and engaging format. How to add AR packaging to your marketing strategy? Your first step should be contracting a professional augmented reality development company. In AR, a lot depends on the quality of development. Thus, we recommend that you trust the experts. By turning to the professionals, you are going to get expert assistance and top-quality service from the very beginning. Experienced graphic designers, AR mobile app developers, UI/UX experts will help you build a one-of-a-kind app that may become the central point of your marketing campaign. At Jasoren, we can provide you with a full team capable of delivering a top-quality AR app that can make your brand stand out from among the competitors on the retail market. 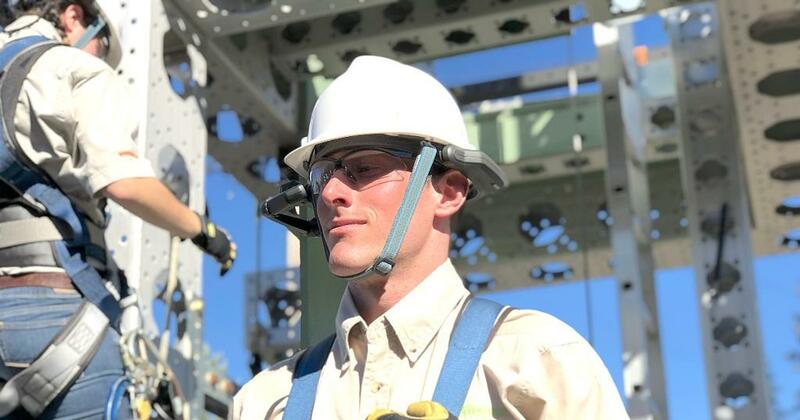 Our developers have solid experience with advanced AR building tools that can help you bring the cost of augmented reality development to an optimal level while retaining high quality and performance. Contact us for a detailed discussion of your AR packaging project. We have plenty of ideas about how to use AR in retail and will be happy to share them with you.